With new staff members, I thought this would be an appropriate posts and something to think about for the future. Also, it would be helpful especially as we are in the process of our Blackboard Enterprise project. Many times when we are hiring for new staff for positions the training process may be inconsistent because information shared may differ upon who is doing the training. Creating an eLearning training course for positions would help with the basic knowledge just to get acclimated. Training at one's own pace or available for future reference. 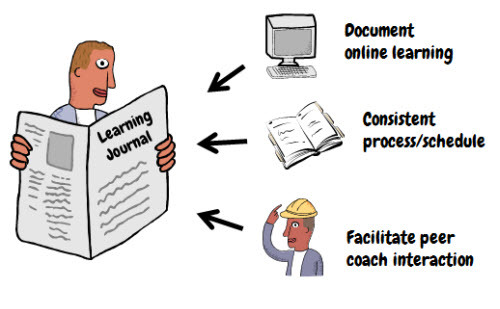 When offering this in an eLearning course, it will a start to a good training program. For examples, the Instructional Design positions, we could use this course for the tri-campus initiative so individual can understand what it takes to create/develop a course. To read more, go to http://www.articulate.com/rapid-elearning/need-to-combine-e-learning-with-mentoring-heres-a-simple-solution/.